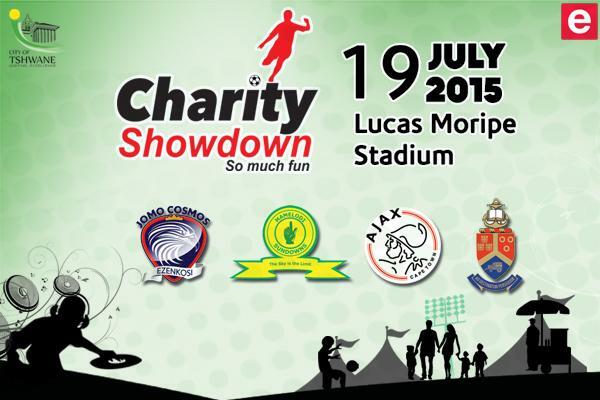 Home Charity Etv Sports City Of Tshwane To Host Etv Charity Showdown | This Sunday!! City Of Tshwane To Host Etv Charity Showdown | This Sunday!! The annual Charity Showdown, a one-day soccer event staged to raise funds for The Lunchbox Fund by etv, is happening this Sunday in Pretoria. This year, e.tv and OpenView HD have partnered with City of Tshwane. The event will take place at the Lucas “Masterpieces” Moripe Stadium in Atteridgeville, Pretoria on 19 July at 8:30am. “We are pleased to partner with the City of Tshwane to launch yet another exciting Showdown event and are grateful to unite with such great stakeholders for this year’s tournament. We value the partnership with City of Tshwane and the respectable PSL teams who are on board. Soccer is one of the most popular sports in this country, and education is one of the most critical childhood development tools. This is why this initiative is a very fulfilling one for us” enthused Monde Twala, Managing Director, e.tv Channels division. All the gate takings from the tournament will be donated to The Lunchbox Fund, a charity organizations that provides a daily meal to orphaned and impoverished schoolchildren across the education sector. The Fund feeds over 5 000 children in Gauteng, Limpopo, North West Province, Western Cape, Eastern Cape and are expanding all the time. Tickets are sold at Computicket and some will be sold at the gate on the day. They go for R30 for adults and FREE for kids under the age of 12. Few etv stars from shows such as Rhythm City, Scandal, Umlilo, Ashes to Ashes, Katch it With Khanyi will be there. See you at Lucas “Masterpieces” Moripe Stadium in Atteridgeville, Pretoria on 19 July from 8:30am.